A blog by Colin Wallis, Executive Director of Kantara Initiative a global provider of strategic vision and real world innovation on digital identity transformation. The organisers of the Think Digital Identity for Government conference and publishers of the Think Digital Partners news portal have asked me to pen a few words with my views on the current public sector digital identity market and also explain a bit more on the Kantara Initiative, an organisation that I represent and will speaking on behalf of at the November conference. 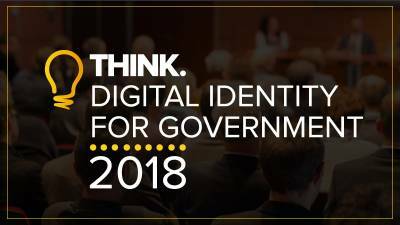 I for one, am greatly looking forward to round two of Think Digital Identity for Government in November. That’s in part because I still regret missing the morning sessions of this conference back in May, returning from Munich and the European Identity & Cloud conference taking place that same week. I wanted to determine if the May conference’s theme around ethics, ethos – and ecosystems added later – had had any resonance with the audience. Kantara is one of a range of entities that are effectively shut out of the current ecosystem – a passing observation in the media made by both Government Computing and Computer Weekly in past months. In my view that has come about not so much by unhelpful policy design as by a lack of oversight as the policy was being implemented. In conversations with folks close to the original thinking, I get the sense that there was never a specific intention to have ‘one of everything’ – one identity service, one certifier, one industry association as examples – but for those selected first to be exemplars of the components that comprise a healthy vibrant ecosystem. It is unfortunate that, due to a range of motivations, the UK has not really managed to progress to a more mature state over the past five or six years since this policy was implemented. And fair play to those entities that by and large have a done a good job while quite understandably taking full advantage of the first-mover benefits bestowed upon them by the Cabinet Office. But I think it’s also great to see alternative identity services being developed or re-developed by HMRC, NHS and others, private sector plays like TISA, and the existing ecosystem being leveraged by Local and Devolved Government. These are encouraging signs of an ecosystem that might one day come into balance and where central Government does not overstep its role beyond the ground base of standards, policy development and oversight. That DCMS is now in control of the policy may serve to assist encouraging early signals from the market. A healthy and vibrant digital identity ecosystem is central to a healthy vibrant digital economy, which inputs into more favourable macro-economic outcomes. In my view the tight focus on digital identity, largely to the exclusion of its intrinsically interdependent neighbours – individual agency, personal data and attribute privacy, federation, authorisation and delegation – has also not served the UK digital economy well because it has not capitalised on the synergy that could be created by developing and implementing services with all these at play in orchestrated harmony. Kantara is the only non-profit organization in the international digital identity space to have a scope to enable all these elements to play. The Kantara logo is a visualisation of its Arabic/African name which in English translates to ‘wooden bridge’. Kantara is an ethics based ‘Commons’ with no barriers to participation that develops specifications in Consent and privacy, User Managed Access and relationship management as well as Identity Assurance, sustaining itself through monetising conformance for grant of Trust Marks, R&D pass-through funding, sponsorship and membership. Given that the UK’s identity ecosystem to closed except to those who pay, most of Kantara’s UK based members and non-member participants are smaller organisations from the privacy and personal data communities who bring their ideas to develop and leverage alongside Kantara’s expertise in identity assurance. So you can possibly appreciate why the theme of the May conference which examined the ethos and ethics around identity in public services, was so important to me. As I write this in my office in the back garden of my modest house in Dorset, the irony is not lost on me that while Kantara’s international presence in identity and individual agency stretches to places as far away as my native New Zealand, it has zero involvement in my adopted country. Just for grins, I have just emailed the GDS DG again. But if history is anything to go by, I’m not setting high hopes of a reply ;-).